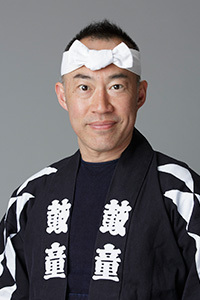 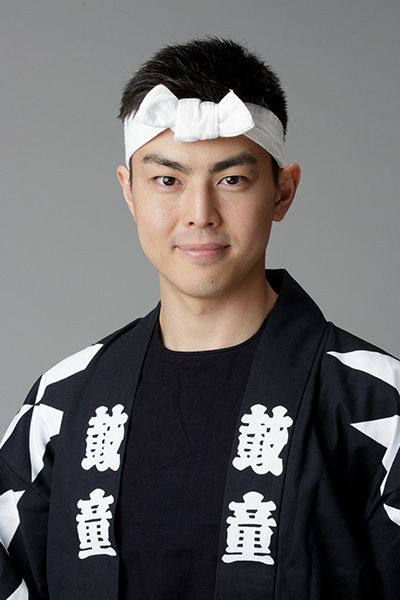 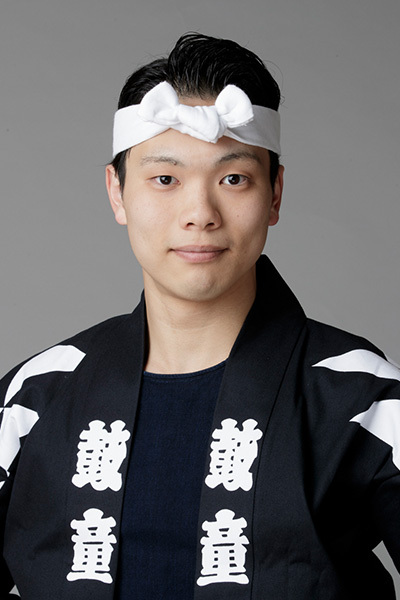 Ryoma Tsurumi joined his local wadaiko (Japanese drum) team at the age of six, and was a member of his high school’s wadaiko club. 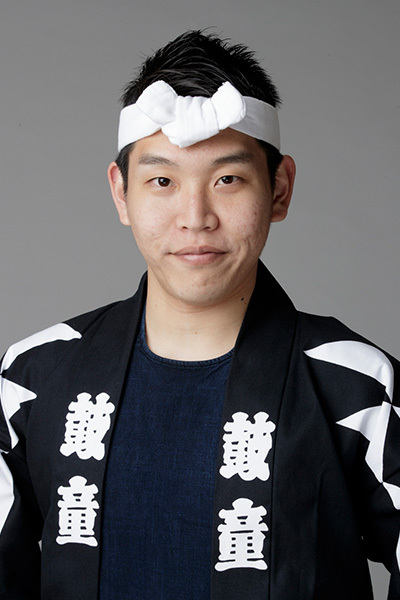 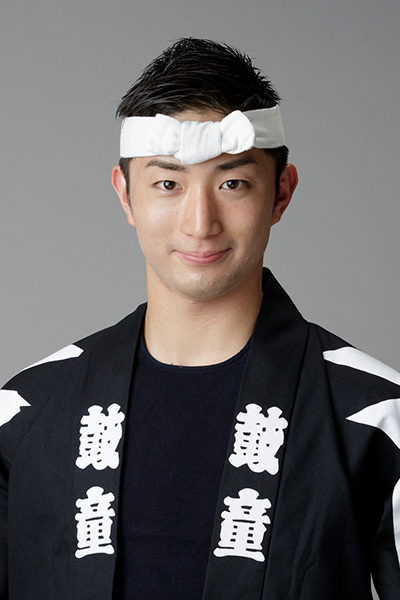 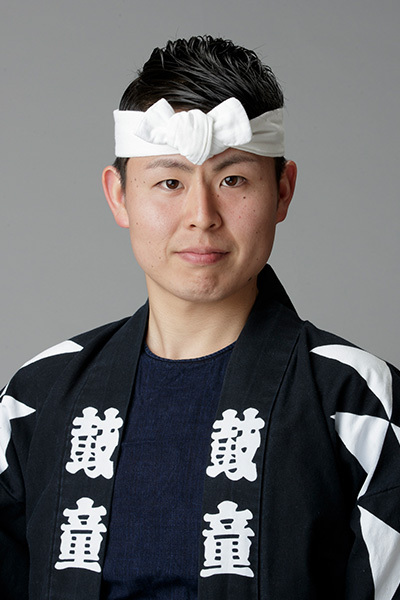 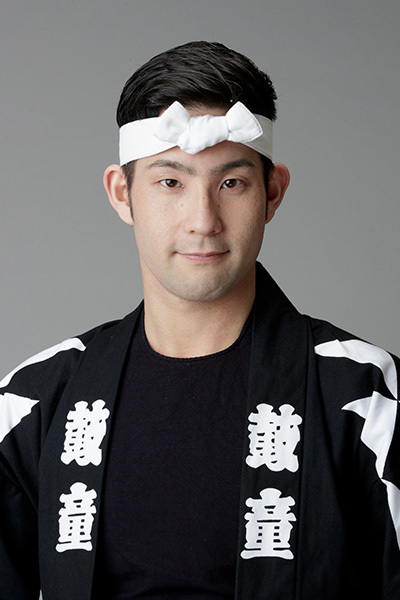 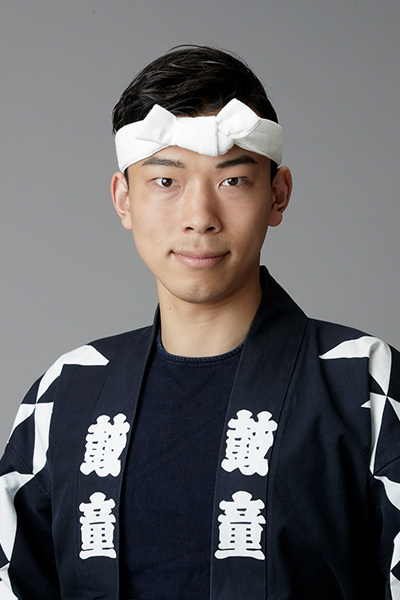 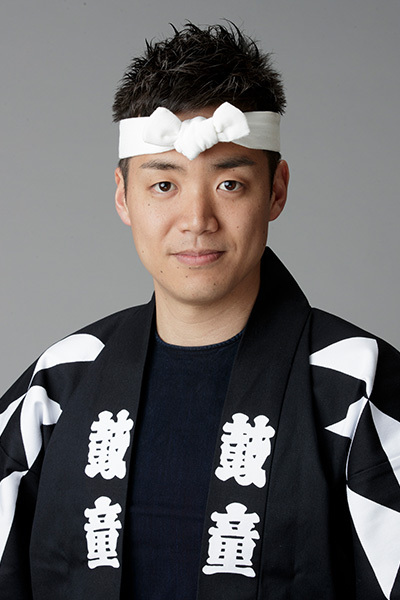 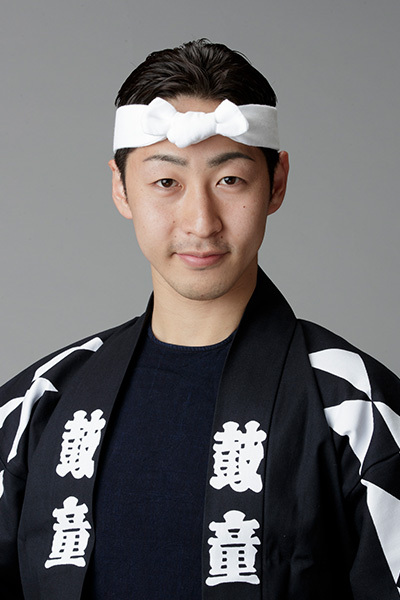 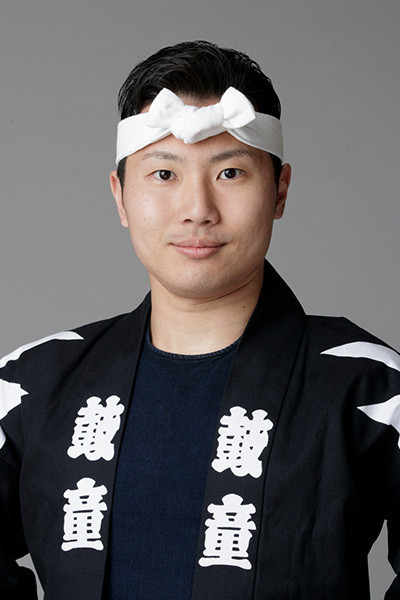 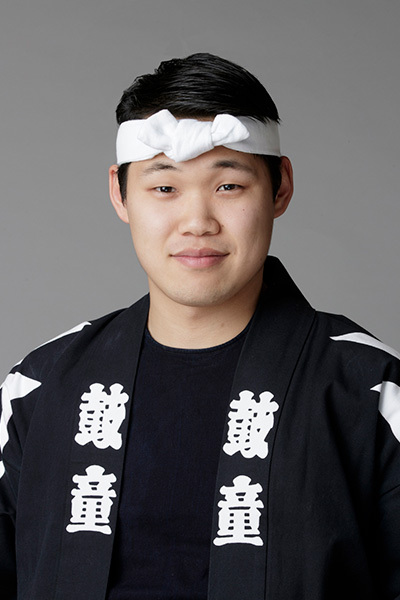 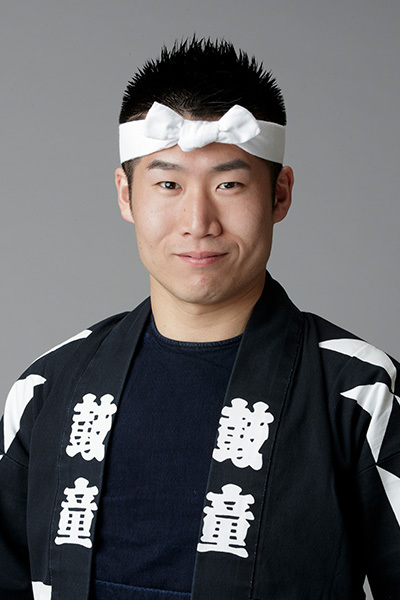 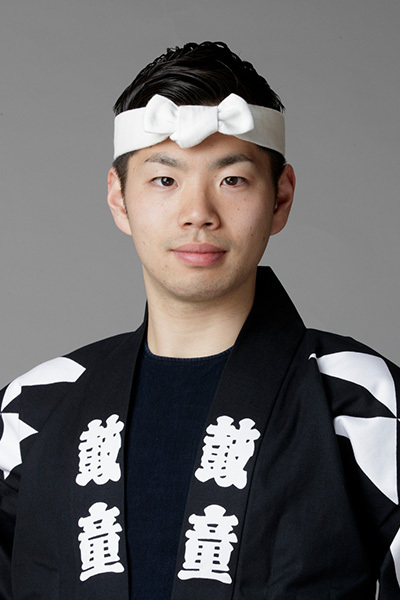 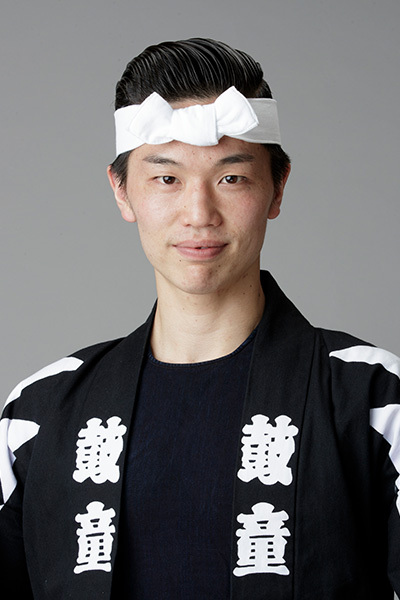 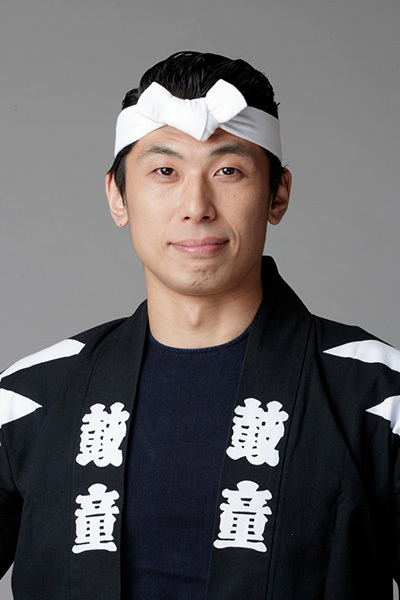 He entered the Kodo Apprentice Centre in 2012. 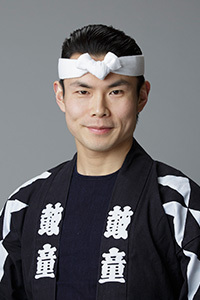 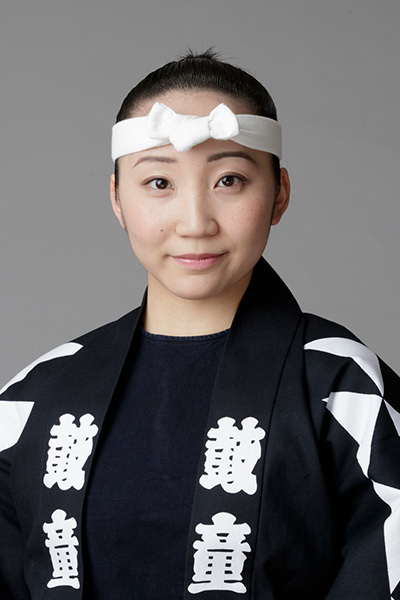 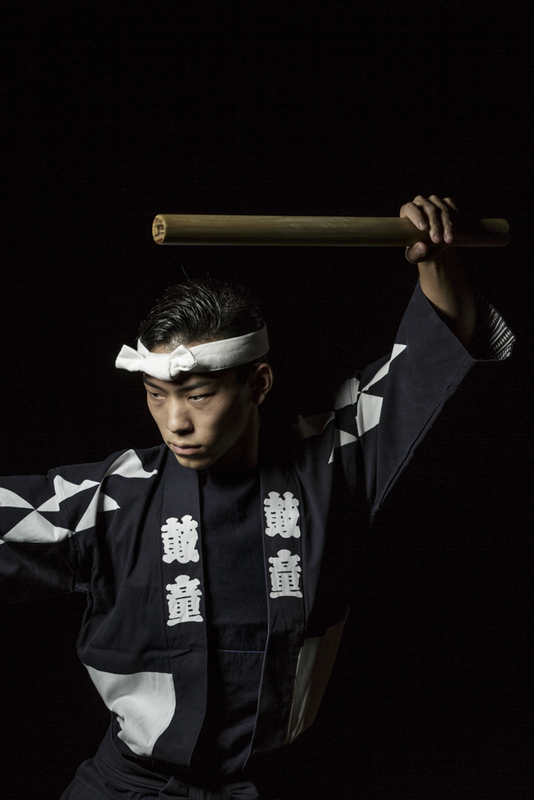 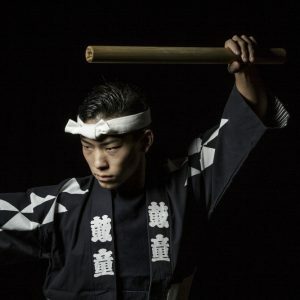 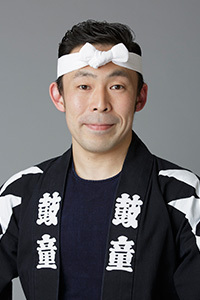 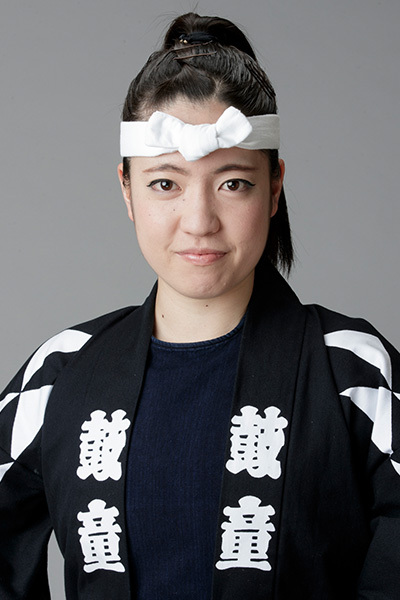 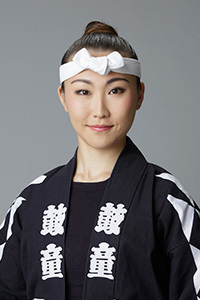 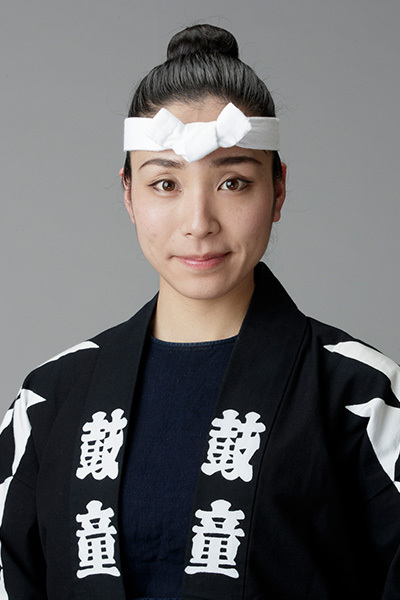 As a junior member, Tsurumi was selected to perform key positions in the 2014 “DADAN” performances in Spain, France and Japan. 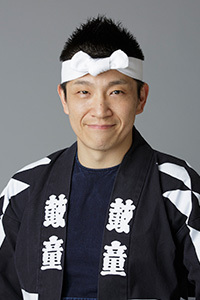 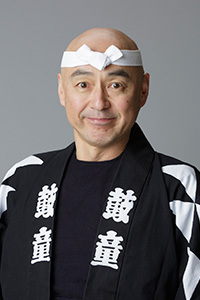 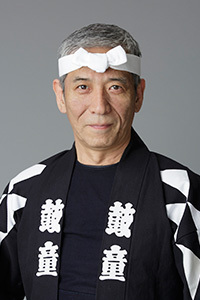 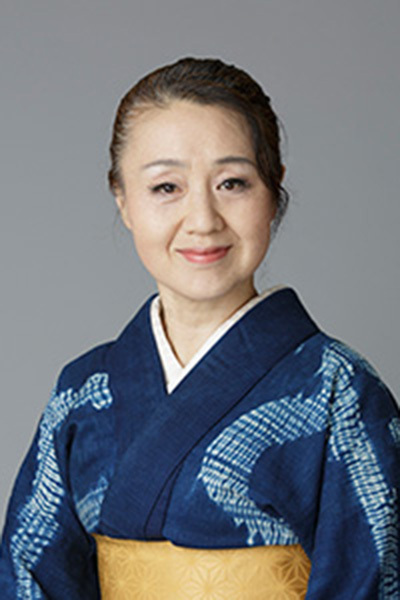 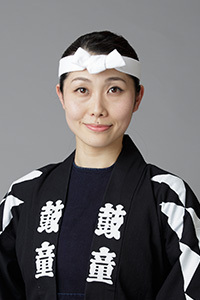 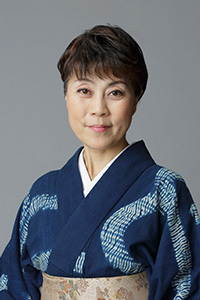 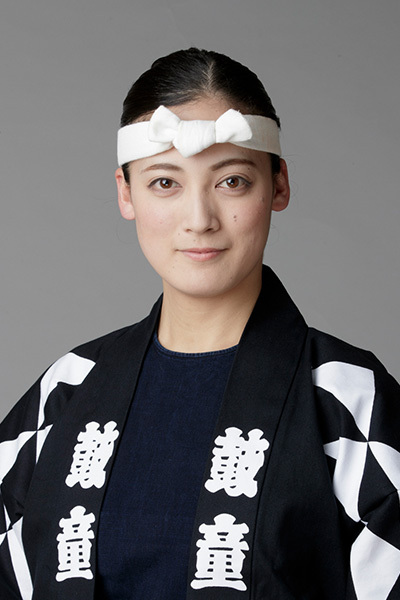 Tsurumi became a Kodo member in 2015. 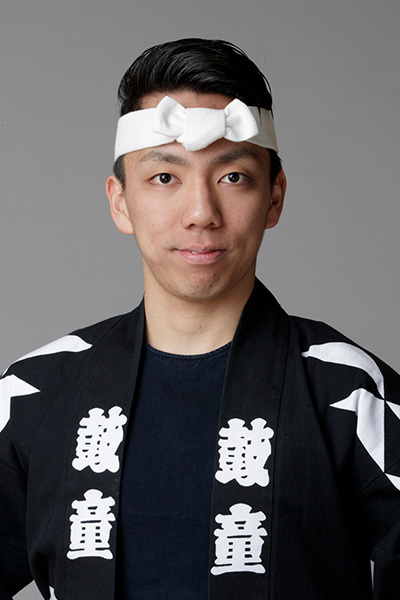 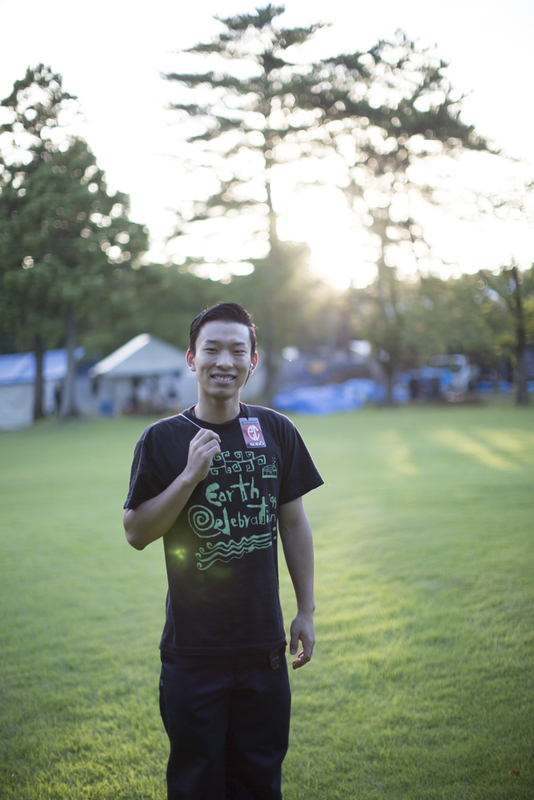 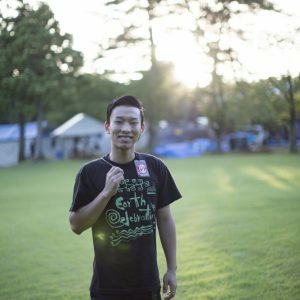 On stage, he is featured mainly on taiko drums and metal percussion instruments. 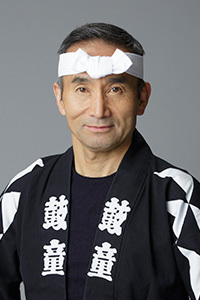 In 2016, he performed in a wide range of productions such as “Mystery” throughout Europe and “Spirited Summer,” “Spiral,” and “Kodo School Workshop Performances” in Japan. 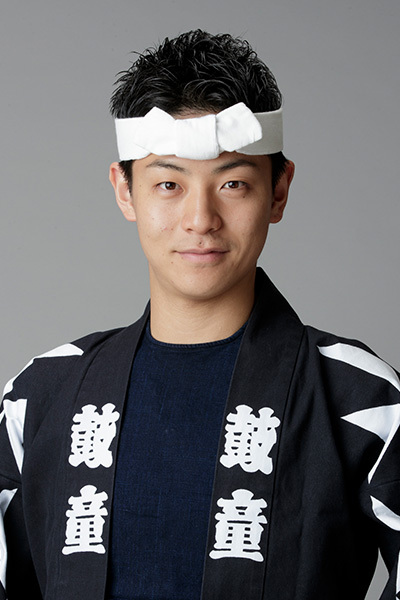 His eyes convey strong emotions and add a unique depth to his stage presence.